Does this need to be replaced or can it be repaired? Cost? ForumsArrowLandlord Forums & Rental Property QuestionsArrowDoes this need to be replaced or can it be repaired? Cost? Hello. I'm located in Minneapolis, Minnesota. Lots of thawing and freezing. 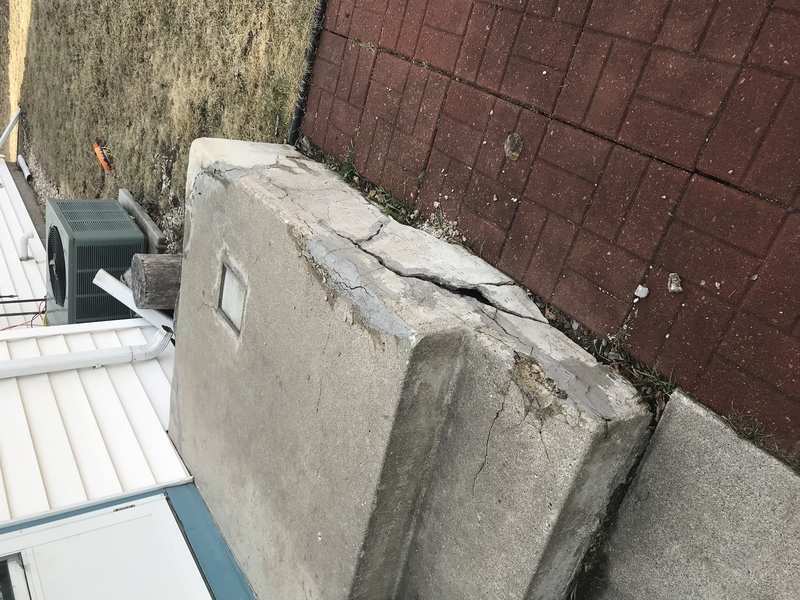 The concrete steps at my rental property have had a bad winter. I am wondering if this can be repaired (even temporarily for a few years) or does it need to be replaced? Does anybody have an idea of what either of these options may cost? Thanks in advance. First of all. Quit taking pictures sideways. I have to turn my head to view it. I would dig out the loose stuff and patch it. It looks like it's been done before. Not always easy to tell by a pic. It appears to be old parging that water has gone under and frozen. Chip all th elose parg off and redo. Cost is dependant on your market. Make sure you check out your contractor thoroughly, a bad parging job will not survive it's first winter. I agree with Tim. This is a simple repair and the correct cement is the vinyl concrete patcher which is high strength and fast setting. Chip out all the loose cement and it will last for a long time. Normal for cold weather and easy repair. If you can't do it yourself the whole job can be done for 100.00 including the material. If you go that route make sure they use the correct cement, you can't use regular mortar.